Governor Godwin Obaseki of Edo state on Wednesday said that his administration achieved a lot during its first 100 days in office. Obaseki said that his administration had been able to come up with reforms and policies geared towards the actualization of the 200,000 jobs promised during his electioneering campaign. The governor, receiving members of the Alumnae Association of the Nigerian Institute for policy and strategic studies (NIPSS) said that his goal was to make the state an economic hub. Meanwhile, he also revealed that in 100 days, 200 ‘agriprenuers’ had been identified to utilize 5000 hectares of land for the cultivation of maize and other arable crops. “We are planning to produce 25,000 metric tonnes of maize this cropping season. We have begun to screen young entrepreneurs and are getting them ready to key into the CBN anchor-borrower’s scheme. We are hopeful that in two cropping seasons we should be able to produce 100 millionaires”, he said. 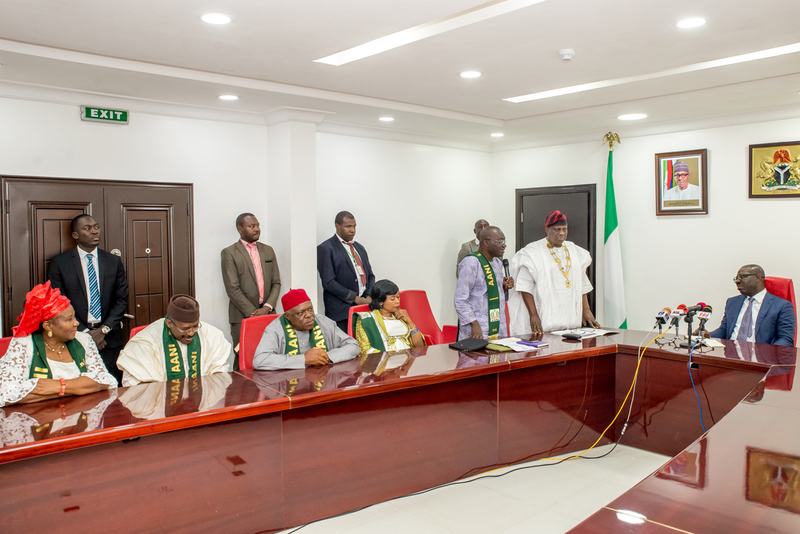 On the trajectory of his administration and efforts to boost power supply, the governor noted that his administration was already wrapping plans up and about to commence execution. He said that his administration was finalising its first power purchase agreement to boost power generation in the state. “We are going to start with our first five megawatt and gradually increase to 50 megawatts within the next 18 months. The completion of the AZURA Power plant will generate 450mw and add to the existing 450mw plant. Going by this, we will have at least 1000mw in 2019 to drive industries in the state”. Governor Obaseki noted that the availability of power in the state would create an enabling environment for more businesses to thrive. “We set out to build on the existing foundation laid by the Oshiomhole led-administration. We identified clearly where the jobs would be coming from such as agriculture and industry, and we are set to revamp the various sectors in the state”, he said.